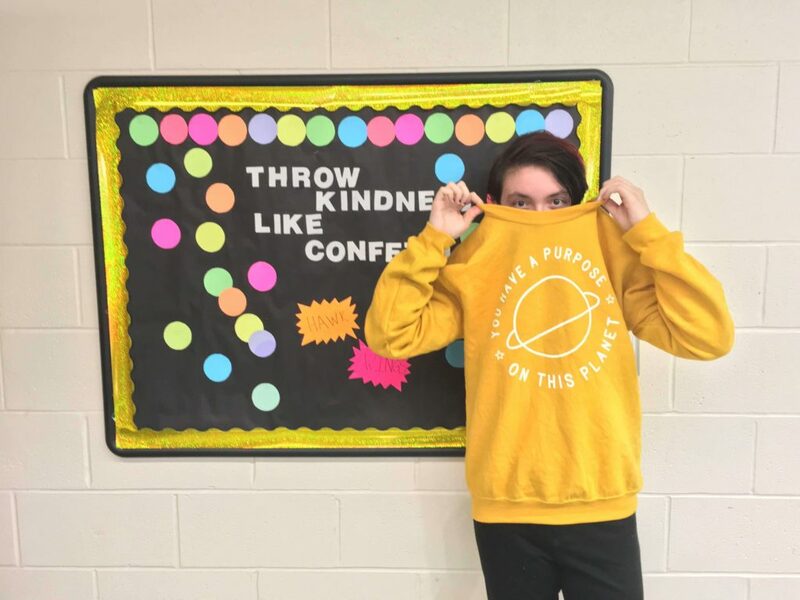 Returning to Region 16 after a turbulent freshman year at Kaynor Tech, Woodland sophomore Michele Iraci has paired together with The Buddy Project to bring awareness of this lingering problem and work to prevent mental illness. John Oliver, comedian and TV host, once said that mental illness is something “we don’t like to talk about, and when we do, we don’t talk about it correctly.” In a report from Substance Abuse and Mental Health Services Administration (SAMHSA), ten million people are affected every year by serious mental illnesses, and the majority of people refuse to acknowledge it as a serious issue. An issue that could lead to self-harm and potentially suicide. In some way, mental illness is like being under a microscope: what’s wrong is more visible than ever. The Buddy Project is a non-profit organization that works to prevent suicide and self-harm among people with mental illnesses. It achieves this by pairing people as buddies through social platforms, most notably Twitter and Instagram, based on interest and age; whilst helping to raise awareness for mental health. It’s primary focus is helping children, teens, and young adults by bringing positivity and companionship, as well as resources and education, to reduce stigma of mental illness, bullying, and negativity on social media. As a campus representative for Woodland, Iraci will be working throughout the year to campaign and educate the student body on the subject matter. While her job consists mostly of campaigns and other educational events, Iraci has a bigger idea to relay the information. The proposition is to have a single week to discuss and provide resources to those who are uninformed and/or have mental illnesses. This would consist of campaigns, a few seminars, and even an assembly. Iraci hopes that this will provide the students, as well as faculty, with awareness of the issue.